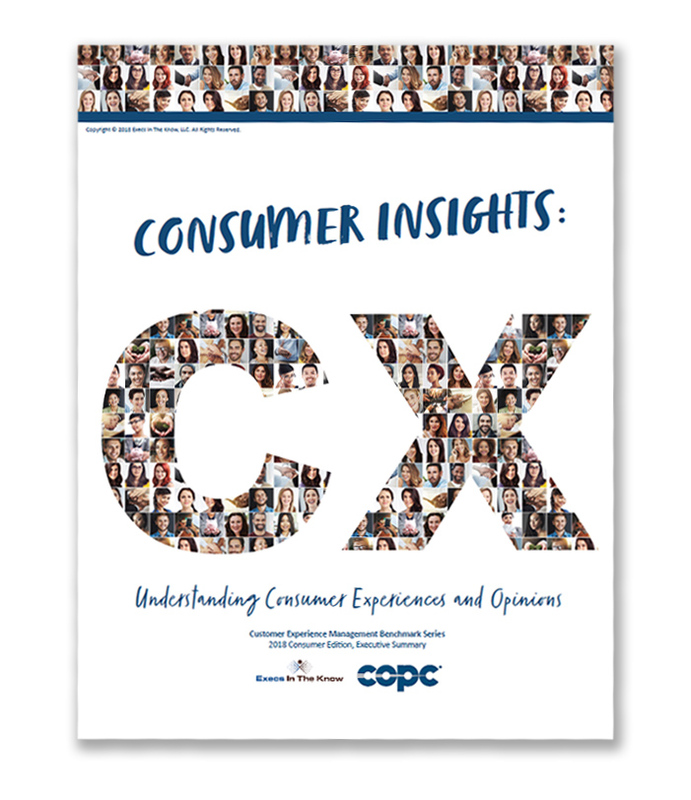 This, the 2018 Consumer Edition of the Customer Experience Management Benchmark (CXMB) Series, marks the sixth year of the series and the twelfth volume. 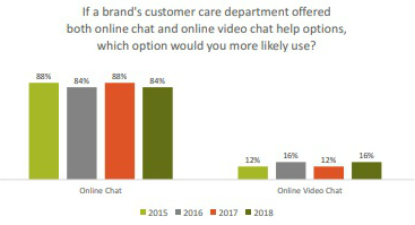 Within these pages, readers will discover new insights into consumer experiences and opinions, including an entirely new section devoted to unassisted solutions, addressing technologies like chatbots and other solutions powered by artificial intelligence (AI). 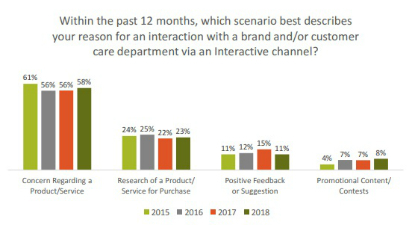 Compared to 2017, 2018 saw a general bump in the use of Interactive Care solutions combined with a decline in the use of Social Media Care (page 11). 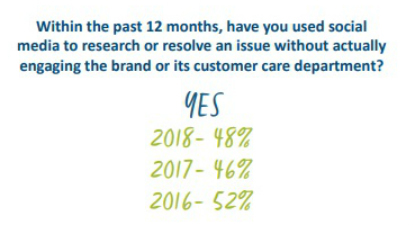 66% of unassisted solution users are okay with being guided to such a solution as long as it resolves their issue, but only 24% of the same think the increased availability of unassisted solutions has improved their overall customer experience (page 28). 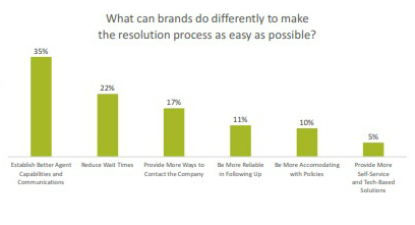 Survey respondents continue to favor live assistance over self-help options, regardless of the complexity of the issue (page 44).